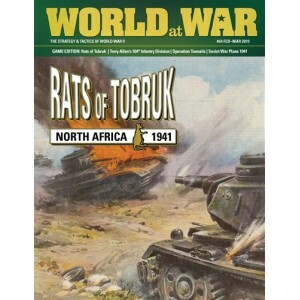 The Rats of Tobruk uses a derivative of the Famous Divisions Series that appeared in W orld at War #20 (Grossdeutchland) and #34 (Guards Armored). 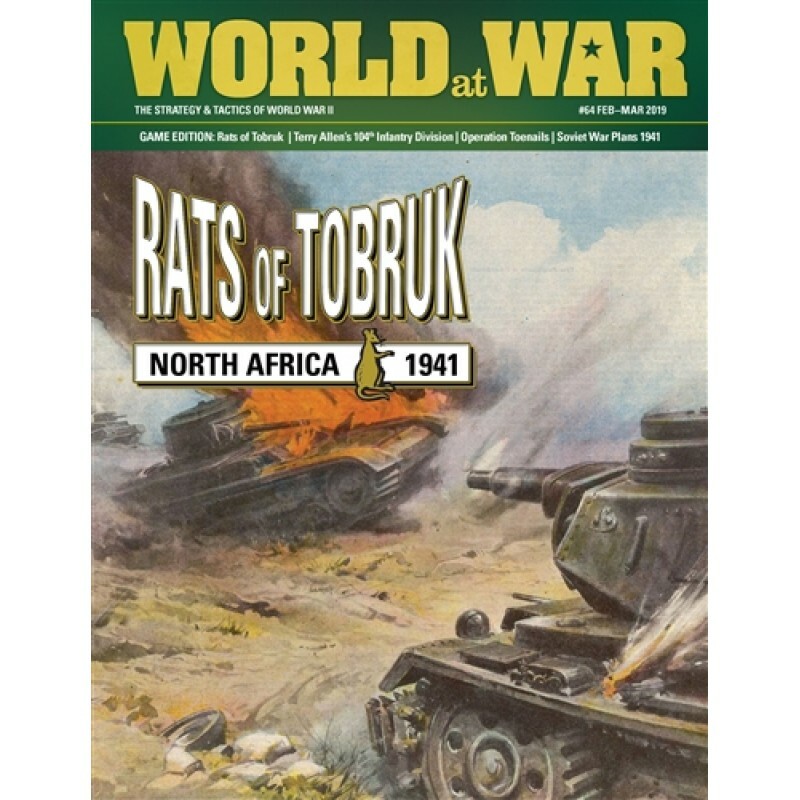 Rats of Tobruk is a two-player operational/tactical game that simulates Rommel’s Easter Day attack on Tobruk in April 1941. This battle primarily involved the Australian 9th Infantry Division, as well as British artillery batteries that were tasked to prevent the capture of Tobruk harbor by the German 5th Light Division. Each game turn represents approximately six hours. Game turns are not divided into separate friendly and enemy turns, but rather they are comprised of numerous individual headquarters activations. The map represents the western half of the Tobruk fortifications in 1941. Each hexagon encompasses about 500 meters.